On October 5, 1934, at just twenty nine years of age, the world of cinema lost a true talent. Though he only made four films (two of which were short documentaries), Jean Vigo had an incalculable influence on filmmaking, inspiring many directors with his dazzling marriage of poetry and realism. Featured in this wonderful set are all of his works, including 'A propos de Nice,' 'Taris,' 'Zero de Conduite,' and the universally beloved 'L'Atalante.' An absolute treasure of cinematic treats, this collection of works is teeming with heart, whimsy, and beauty. Since it's the most substantial, and only feature-length inclusion here, I'll be covering 'L'Atalante' first and then go into the other short films separately. Some movies are entertaining, funny, romantic, insightful, exciting, tragic, mysterious, surprising, thought provoking, or any number of other various pleasing adjectives. Some movies are good, really good even -- and then some movies, some special, truly rare movies, are simply… magic. What makes a movie magic, you might ask? Well, to be honest it's sort of hard to quantify. When a film doesn't work it can be easy to describe its shortcomings, and when a film succeeds it can be equally simple to praise its glories, but for the few quintessentially special works of art, the few really magical pieces of cinema, it can actually be difficult to put their beauty into words. After all, how can one describe the intangible and the unknowable? How can one describe the indescribable? There's just something locked away in their images, hidden in plain sight but somehow forever elusive. Something raw and primal, but eloquent. Something rapturous and divine. Something inherently without form, yet so perfectly expressed through sight, sound, and motion. Jean Vigo's 1934 masterpiece, 'L'Atalante,' is such a film, and while its uncomplicated beauty might defy words, I shall try my best. The story follows two newlyweds, Jean (Jean Daste), and Juliette (Dita Parlo), as they grow accustomed to married life together on Jean's barge, moving from port to port. While the couple deals with normal domestic squabbles and pleasures alike, Juliette develops a sweet friendship with one of the ship's crew, a gruff, eccentric sailor named Le père Jules (Michel Simon). With Jean growing jealous and Juliette growing bored by her cabin bound existence, their relationship reaches an eventual boiling point during an offshore excursion into town. Their quarrel results in a rather rash and dramatic decision that might signal the end for the couple's mutual affections. Wonderfully understated and deceptively simple, the plot is a marvelous examination of young love that is elevated to the pinnacle of high art through sparkling performances and stunning images. The cast is nothing short of spectacular. Jean Daste balances a caring sensitive side with a false pretense of jealous bravado. His envious fits lead to poor decisions, but the character eventually reveals his true colors, and as depression and regret hit in a bittersweet epiphany, Daste becomes a devastated shell of a man, engendering pangs of sympathy for the skipper. As Juliette, Dita Parlo is a revelation, forging a performance full of tenderness and life. Her smile literally lights up the screen, becoming a transcendent image unto itself, wrapped in indescribable mystery and allure. There's something in her expression, in the very curve of her lips and the light in her eyes that sparks the soul and tugs at the heart. While the duo is central to the success of the film, 'L'Atalante' would simply not be the masterpiece that it is, without Michel Simon. Le père Jules is a singular cinematic creation, a blend of truth and caricature that somehow becomes something larger than life and intimately real simultaneously. Rough on the outside, his exterior masks a gentle, sensitive soul. Simon's performance is full of exaggerated broad strokes and more subtle nuances, forming a multifaceted character that brings infectious humor and spirit to the proceedings. Vigo's cinematic style is a sumptuous mishmash of function and poetry. Compositions, movements, and cuts all serve the characters and plot, on the surface thrusting us through the breezy narrative with little fanfare. The director lets his actors act, resisting the urge to overly stylize his scenes, creating a realistic atmosphere that fosters refreshingly naturalistic performances full of irresistible charm. Look just a bit deeper, however, and the outwardly straightforward images reveal a whole other level of inexpressible artistic power. A bride dressed in white slowly flowing across a darkened barge. An intimate dalliance among wondrous oddities and peculiar trinkets. A vision of true love formed in the ocean's depths. These are all examples of some of the many memorable images and scenes that run through the film. Their sights, married to Maurice Jaubert's brilliant score, elicit emotions and thoughts with ease and ambiguity. While one could analyze Vigo's mise-en-scene for hours, the reality is that there is no real intellectual reason why his visuals leave such an impression. Pioneering a style of everyday lyricism, there is a stripped down, practical expressionism that permeates Vigo's work, drenching his images in a kind of routine awe. This is a film of sublime contradictions. Its plot is almost excessively simple, yet somehow through Vigo's eyes becomes infinitely deep and profound. Its observations can be fleetingly cynical, but ultimately prove to be unapologetically romantic. Its characters are innocuously innocent, yet palpably sensual. Its images are candidly realistic, but effortlessly poetic. Made from a script that seemingly clashes with all of the director's inherent inclinations and sensibilities, it simply should not work, and yet… somehow does. Vigo infuses every ounce, every inch of himself, into every shot, and that peerless level of dedication, care, and unbridled passion shines through in every frame. While all this praise might sound like hyperbole, and for some certainly might be, for me, this is film at its most pure and extraordinary. 'L'Atalante' is a joyous celebration of life and cinema. It is an achingly beautiful achievement. While I've tried my best, in the end, there just aren't words to express what its images so simply convey. After all, how could there be? It's about love. Shot in 1930, 'A propos de Nice' is Vigo's first foray into filmmaking. An experimental documentary, this twenty three minute short is an exciting and visually arresting rumination on a place and people. Featuring various twisting shots of the French city, Vigo creates an all encompassing visual tour of its landmarks, structures, and society during leisure and work. Through juxtaposing frames and skewed angles, the director infuses his own subjective viewpoint into the proceedings, weaving a loose commentary on the sights and sounds he presents. Little bits of humor and almost surrealistic touches are also thrown in, hinting at the filmmaker's tendencies toward the absurd, whimsical, and borderline obscene. Filled with many striking images, perhaps the most notable sequence features a slow motion shot of women dancing at a carnival. Filmed from below, the vantage point gives us an amusingly playful view up their skirts as the group moves cheerfully in celebration. While mostly light, there are fleeting instances of more weighty substance, drawing some strong parallels between upper and lower class society. Though not as significant as his longer works, 'A propos de Nice' is still a worthy piece of the director's unfortunately small filmography that demonstrates a lot of the stylistic sensibilities that Vigo would go on to flesh out further. A short, commissioned piece, 'Taris' is a nine minute portrait of famous French swimmer, Jean Taris. Essentially an instructional film of sorts, Vigo shoots Taris from a variety of angles demonstrating different strokes and techniques while voice over explains the methods. Though primarily a purely work-for-hire effort, Vigo still infuses the piece with some interesting stylistic flourishes, taking advantage of the opportunity to experiment with angles and film speeds. Dramatic, slow motion close-up shots of Taris performing his many strokes create a kind of artistic distillation of the movements themselves, forging something cinematically potent and worthwhile. Underwater shots of the swimmer happily enjoying his sport are also noteworthy and directly foreshadow one of the most famous scenes from 'L'Atalante.' While very brief and lacking the same kind of substance found in the other included films, Vigo's strength as a filmmaker still shines through, even in a piece that could otherwise come off like pure fluff. A forty four minute narrative short, 'Zero de Conduite' is in many ways Vigo's most personal film and seems to best represent the auteur's unfiltered sensibilities as a filmmaker. Loosely based on personal experiences, the movie follows a group of boys at a strict boarding school as they plot to rebel against their repressive teachers. Originally banned by censors in 1933, the film is a whimsical, satirical romp that's anarchistic subject matter and homosexual implications proved too much for French moviegoers at the time. One sequence near the end of the movie actually rivals anything out of 'L'Atalante' in sheer intangible delight. As the boys overthrow their stern teacher, launching an assault in the dead of night in their bedroom, Vigo presents a slow motion shot so exquisite in form that it borders on cinematic perfection. Celebrating their victory, the boys march out of the bedroom, hoisting up their champion in a chair as feathers from their pillows billow all around. Unrestrained glee and triumph beams from their collective faces, presenting a visual ode to youth and carefree abandon that radiates from the screen. 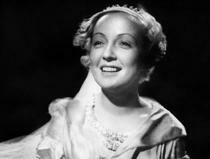 'L'Atalante' may be Vigo's shining achievement, but 'Zero de Conduite' is a wonderful, strong piece of cinema in its own right. Criterion presents 'The Complete Jean Vigo' in their standard clear case with spine number 578. The single BD-50 region A disc comes packaged with a booklet featuring essays by Michael Almereyda, Robert Polito, B. Kite, and Luc Sante. The movie is provided with a black and white 1080p/AVC transfer in the 1.33:1 aspect ratio. Though meticulously restored, the video is still somewhat disappointing. Perhaps my expectations were simply unreasonably high, and though I fully understand that it’s a minor miracle that a watchable print for this cut exists at all, I can't help but be slightly underwhelmed by the results. The source has been painstakingly cleaned up but still shows periodic signs of noticeable but relatively minor damage, including scratches, specks, tears, and vertical lines. Grain is visible throughout but lacks the kind of richly textured quality that other classic films often exhibit. One of the most troublesome aspects of the video presentation, are some fairly consistent stability issues. The image frequently shakes and vibrates, and while such anomalies are to be expected from a movie with such a troubled history as this, it can be a little jarring at first. Thankfully, the stabilization fluctuations do lessen over time and certainly don't ruin the film. The picture as a whole has a very soft look, and though there can be some nice instances of detail, especially in close-ups, the majority of the movie lacks substantial clarity and depth. Again, this appears to be a natural result of the original photography and the poor state of the film elements used. There is also some image pulsing present and black levels do fluctuate, alternatively looking crushed or elevated. Contrast levels appear slightly blown out at times, washing out detail. Halos are also visible in certain shots. I'm not sure if they are somehow the results of the original photography, the restoration techniques, or edge enhancement, but they are noticeable but thankfully not especially troublesome. 'L'Atalante' has a very sordid history of re-cuts and mistreatment, and while some amazing and admirable restoration has been done, there are still clearly limits to how good this film can look. On the one hand, this is definitely the best the movie has appeared in decades, but on the other, that unfortunately still leaves a bit to be desired. Despite my own minor disappointment, and the relatively mediocre, but in my opinion appropriate score, I'm sure that many fans of this treasured classic will still be very satisfied with the picture. Vigo's marvelous images shine through in any form, and though it is rarely impressive, this transfer is likely the best we'll ever get. Provided with a black and white 1080p/AVC MPEG-4 transfer in the 1.33:1 aspect ratio, in some ways 'A propos de Nice' might actually be the best looking film of the bunch. The source shows some frequent signs of damage including specks, scratches, tears, and vertical lines. Grain is visible and does have a fairly rich, textured quality. Looking beyond the damage, detail is actually pretty strong and there is some nice clarity in the images giving a fairly pleasant view of the French city and its people. Black levels and contrast do fluctuate but are pretty respectable as well. Damage is certainly more noticeable than in 'L'Atalante,' but detail levels might actually be superior here. Again, this isn't exactly an impressive presentation, but it certainly has its strengths. 'Taris' is given a black and white 1080p/AVC MPEG-4 transfer in the 1.19:1 aspect ratio. This is probably the roughest looking piece in the collection, and features the most apparent damage. With that said, detail is relatively sharp. Contrast and black levels are not ideal, however, and can often look too low or too high. The excessive damage can be distracting, and though functional, this certainly isn't a strong presentation. Presented in a black and white 1080p/AVC MPEG-4 transfer in the 1.19:1 aspect ratio, 'Zero de Conduite' features similar picture quality to the rest of the films. The source shows frequent signs of damage but isn't terrible. Like 'L'Atalante,' the image photography is comparatively soft with many shots looking a little out of focus. Detail is best in sequences that take place outdoors or in well lit areas and there definitely are moments of strong clarity. Like the rest of the movies, black levels can crush at times and contrast does waiver. As is the same for the whole set, this isn't impressive by any means but considering the film's age, this is definitely a serviceable presentation. The movie is presented with a French LPCM mono track with optional English subtitles. Like the visuals, the audio elements show their age and feature some less than stellar qualities. Dialogue is decent but has an understandably thin, hollow quality. Some hissing can also be heard throughout. Effects work within the single audio channel is minimal but sounds adequate when present, though there isn’t a lot of distinction between frequencies. Jaubert's gorgeous music sounds lovely but lacks substantial fidelity. Bass activity is essentially nonexistent. Balance between the elements is well done and despite the sometimes strained quality, speech is always easy to hear. The sound mix is very much a product of its time, and though serviceable it still presents some noticeable limitations. A silent film, the short features a 2001 score written by Marc Perrone presented in LPCM mono. Being newly recorded material, this track actually sounds quite good. The music itself fits wonderfully with the images and works well with the rhythm of Vigo's cuts. A multi-channel presentation would have been welcomed, but the mono mix suits the documentary just fine with some decent range but of course no separation. Presented with a French LPCM mono track and optional English subtitles, this mix again demonstrates some hefty limitations resulting from its age and source. Dialogue sounds pretty muffled and strained and there is a very noticeable background hiss. The audio is essentially flat and there is very little to the mix outside of narration and some faint effects. This is as basic as you can get, and the track's age is a noticeable factor. Provided with an LPCM French mono track and optional English subtitles, this sounds about the same as the rest of the films. Dialogue is thin, effects are hollow, range is pretty flat, and there is a noticeable hiss. The quality isn't horrible and is always understandable, but it certainly won't impress. Criterion has put together a wonderful collection of supplements, including documentaries, some vintage interviews, and commentaries on all of the included films. All of the special features are presented in upscaled 1080i with French Dolby Digital mono audio and optional English subtitles, unless noted otherwise. Commentaries by Michael Temple - Author Michael Temple provides commentary on all four included films. Temple offers a wealth of information across the four tracks, including personal details about Vigo's life and influence, various production bits about each film, and stylistic and thematic analysis. The commentaries provide a pretty comprehensive overview of the acclaimed, tragic director and his work. While very informative, knowledgeable, and certainly academic in style, Temple brings a refreshingly down-to-earth, natural quality to his conversation that presents a nice break from the sometimes stuffy tone of other Criterion tracks. These are all filled with great insights and are well worth a listen. Cineastes de Norte Temps (HD, 1 hr & 36 min) - This is a 1964 episode of a French television program that is all about the life and work of Jean Vigo. The filmmaker's personal history and movies are all discussed in great detail by those that knew him best. Interview material is bolstered by stills, family photographs, and clips from his films. Both the making of 'Zero de Conduite,' and 'L'Atalante' are covered extensively, offering some great bits of trivia for each, including details on the great controversy that the former caused with censors, and the unfortunate re-editing that the latter was subjected to. Some information on his personality, directing style, and final days are also covered, making this a very interesting and worthwhile inclusion. A Tribute by Michel Gondry (HD, 45 sec) - A brief animated short directed by Michel Gondry is included that pays homage to Vigo and his films. Truffaut and Rohmer on L'Atalante (HD, 18 min) - This is a 1968 conversation between acclaimed directors Francois Truffaut and Eric Rohmer. Rohmer mainly presents questions to Truffaut who speaks at length about the film's style and influence. It's easy to see traces of Vigo's style in Truffaut's works, especially in 'The 400 Blows,' and the director is clearly a great admirer offering some interesting insights. Les Voyages de "L'Atalante" (HD, 40 min) - This is a very interesting documentary that traces the film's sordid history of re-edits. Some rare footage, unused scenes, and rushes are all showcased, offering a multifaceted look into the various different cuts, butchering, and restorations done of the movie over the years. Direct comparisons of different versions are shown, and the sometimes subtle and drastic alterations have a remarkable effect. Most alarming of all, is a version which does not include Maurice Jaubert's brilliant score. It really is a minor miracle that we even have an authentic cut of the movie at all, and this documentary really illuminates the journey the film has gone through. Otar Iosseliani on Vigo (HD, 20 min) - Included here is an interview with director Otar Iosseliani detailing his great admiration for Vigo. Iosseliani is very soft spoken and while his observations aren't always the most interesting, he does provide a few insightful bits about 'L'Atalante' and its themes. Alternate Edit for A propos de Nice (HD, 22 min) - Presented in 1080p, this is an alternate edit of the film is included that features some footage that Vigo originally excised. 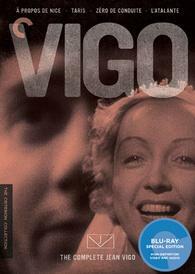 'The Complete Jean Vigo' is an exceptional collection of cinematic works. While all of the films have value, 'L'Atalante' is a true masterpiece that is among my own personal favorite films. Through his works' joyous celebration of life and love, Jean Vigo left an indelible impression on the world of motion pictures, and while his life was tragically cut short, his influence lives on forever. Though in some cases painstakingly restored and essentially the best we're likely to ever get, video quality can't help but be a little underwhelming, and the audio mixes definitely show their age. Supplements are fantastic, however, offering a comprehensive overview of the director and his work. This is a fantastic set, and should be an essential piece of every serious film fan's collection.